Former professional wrestler Big Van Vader (a.k.a. Leon White) has been facing some daunting health challenges as of late. 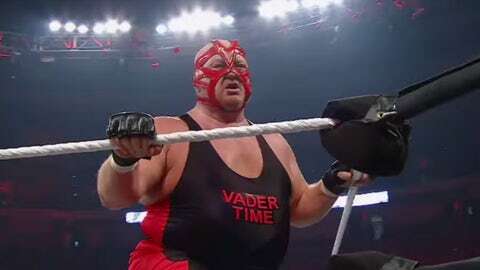 The 61-year-old Vader tweeted in November that doctors had given him two years to live due to heart issues. He also was involved in a terrifying car accident in 2016. But if you’re in the wrestling game and need help with your health and rehabilitation, you apparently turn to Diamond Dallas Page. The former wrestling great is known to have helped Scott Hall and Jake “The Snake” Roberts overcome their demons through his DDP Yoga. Here’s a 2013 look at Hall on what DDP Yoga did for him.